Verbal Reasoning tests your critical reading skills and your ability to analyze and synthesize the information you read. About half of the questions in Verbal Reasoning will be based on passages, while the other half requires you to read and answer questions about given sentences or paragraphs. Quant and Verbal sections are randomly ordered after the Analytical Writing section, which always comes first. Verbal and Quant are both scored the same way: on a scale of 130-170 in 1-point increments. Currently, the average Verbal score is 150. Reading Comprehension: For these questions, you’re given a passage and asked both big picture and specific detail questions on it. Text Completion: Text Completion questions have a short passage with several blanks in it. There will be a list of words you can put in each blank, and you’ll have to choose the most appropriate word. Sentence Equivalence: For these questions you’ll be given a single sentence with one blank, as well as six answer options. You’ll have to select the two options that both fit in the sentence and produce sentences that have the same or similar meaning. In this section, we go over each step you should follow in order to study for GRE Verbal and get the score you want. If you’re not sure how to improve GRE verbal scores, before you begin studying, you should have a solid understanding of the GRE Verbal section’s format. This helps you know what to expect and the types of information you’ll be tested on. We give a brief overview of the section above, but for a more in-depth look, check out our guide to acing the GRE Verbal section which also includes an example of each question type you’ll see in this section. Next you need to find the average Verbal scores for each of the schools you’re interested in applying to. Look for this information on each program’s Admissions page. Not all schools list this information, and, if you can’t find it, you can try emailing or calling an admissions person at the school directly to see if they can tell you more. Make a list or chart of this information for all the schools you’re interested in. Next, find the highest Verbal score on the list. Add two points to it to get your goal score. The next step is to figure out how well you’re currently doing on the GRE Verbal section. To do this, you’ll need to take a practice GRE. It’s best to use an official GRE resource for this step to ensure your score is accurate. A good source to use is GRE PowerPrep which includes two full-length practice GREs. The PowerPrep tests are made by the same people who make the real GRE, so the practice test will be very similar to the actual exam. Choose a PowerPrep test to take for your baseline test (you’ll take the other one later). 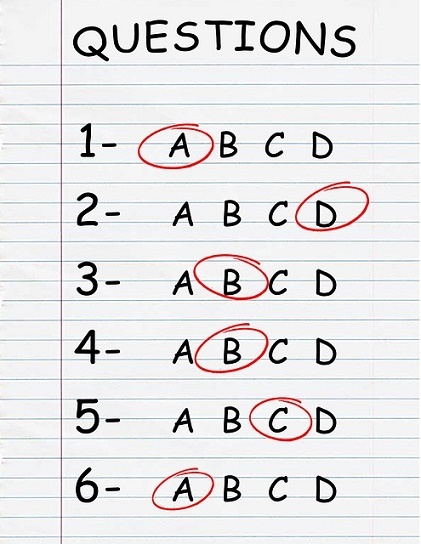 As you take the test, try to recreate a real testing environment. This means you should find a quiet place to take it and avoid pausing the test or taking any unscheduled breaks. Once you’re finished, record your Verbal and Quant scores. The Verbal score you get will be your baseline score or how well you’re currently doing on that section. For example, if your Verbal baseline score is 140 and your goal score is 150, you’d want to improve 10 points, which means about 80 hours of study for your GRE Verbal prep. Remember that you’ll likely need to do some studying for the Quant section as well. 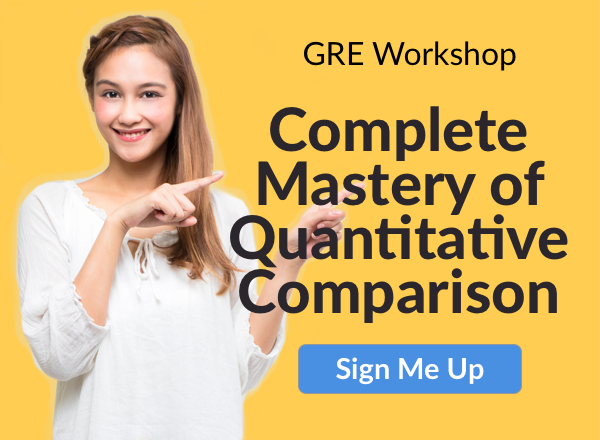 You can use the same guidelines above to figure out how many hours you need to study for Quant so you know how many hours total you’ll need to spend studying for the GRE. Now that you know how many hours to study, you need to figure out how to make the most of them. A study plan will help you use your time efficiently and allow you to set study goals and track your progress. Three months is a good amount of time to prepare for the GRE, although you may study for shorter or longer depending on your score goal and schedule. Figure out how many hours you want to study per week, and try to schedule this for the same time every week. Keeping a consistent schedule will make it easier to prep for the GRE because you’ll know ahead of time when you should be studying and can fit the rest of your schedule around it. For more tips on how to study for the GRE, check out our GRE study plan guide. Once you have a good idea of what your study plan will look like, you can get to work on your GRE verbal preparation. To do well on this section, you’ll need to have solid vocab and reading comprehension skills. If you’re not sure how to study for GRE Verbal, below are some of the best official and unofficial sources to use when you’re working to bolster your Verbal skills. A prep book can be your most useful tool during your GRE Verbal prep. The best ones include lots of useful information about what to expect on the test and strategies to help you answer difficult questions more easily. To find the best prep book for you, check out our guide to the best GRE prep books. Each of them will have useful information for GRE Verbal. The Official Guide to the GRE General Test: This is the only official GRE guide available, so you should seriously consider using it. It costs about $25 and includes descriptions of each section of the GRE, four full-length practice tests (two of which are the same as the PowerPrep tests), several hundred practice questions, and tips for solving each Verbal question type. Khan Academy: This is a free educational website recommended by ETS for GRE prep. While it doesn’t have videos created specifically for the GRE, many of its videos cover the same topics you’ll see on the exam. For GRE Verbal prep, we recommend using their eight Reading videos to study. You can also learn more about how to study for GRE Verbal with Khan Academy by reading our guide on it. Additionally, we have guides designed specifically to help you master GRE Verbal and get your best score on it. Like this one, all of our guides are free. How to Ace GRE Verbal: 13 Expert Tips: This guide contains all the best tips and strategies for getting a great Verbal score. 357 GRE Vocab Flashcards: Vocab is an important part of doing well on GRE Verbal, and these flashcards make it easy to learn the words you should know for this section. The best GRE Verbal practice: If you’re looking for more Verbal prep resources, this guide has the best ones to use. It’s important to answer practice questions throughout your GRE Verbal preparation. The results from these practice tests will allow you to track your progress and see where you still need to improve. Official prep sources are the best to use since you can be sure they give you an accurate idea of what to study for on the GRE, but we’ve also include high-quality unofficial sources as well. GRE practice test PDFs (2010-2012 and 2012-present): These full-length paper practice tests offer numerous Verbal questions. Since they overlap a lot with the PowerPrep tests, it’s best to tear them apart for additional Verbal practice and not use them as full-length tests. The other questions are no longer used on the GRE and won’t be useful to you. Manhattan Prep’s 5 lb. Book of GRE Practice Problems: This unofficial guide, which costs $15-20, offers many practice Verbal questions that are all high quality. With this book, you get more than 800 Verbal questions, detailed answer explanations, and various quizzes. For every question you answer incorrectly, you should review it to figure out why you got it wrong and how to get the correct answer. This may seem like a hassle, but it’s one of the best ways to stop yourself from making the same mistakes over and over again. Many students struggle with answering all the Verbal questions in time. You’ll have about 90 seconds to answer each Verbal question, but that doesn’t take into account the time it takes to read passages. If you find yourself struggling to answer questions in time, figure out what’s taking up most of your time. Does it take you awhile to read the passages? Do you get stuck on a question and spend a lot of time trying to answer it? Do you keep going back to reread portions of the passage? Identify where you’re losing time and work to prevent this from happening. Also, if you’ve spent more than two minutes on a question and have no idea how to answer it, skip it and come back to it at the end. This prevents you from spending a lot of time on a single question. When you know how to tackle the reading passages, you’ll be able to get through them faster and answer questions on them more quickly. Some people like to skim the passage then go to the questions, going back to reread important portions as needed. Some like to carefully read the passage once then focus on the questions, and others like to read the questions first then focus on the passage. Try a few techniques to figure out which one works best for you to help you answer all the questions in time and get the best score. The Verbal section is full of answer choices that sound right or are almost right, but that aren’t the right answer. It can be easy to see these answer choices and mark them as correct without reading the other options. Don’t fall into this trap! Always read every answer choice for a question so you know all the possible options and can make the best selection. You don’t lose any points for answering a question incorrectly on the GRE, so you should always answer every single question on the test, even if you have no idea what the answer is. Marking down some answer gives you a shot at getting it right, which you wouldn’t get if you skipped the question. 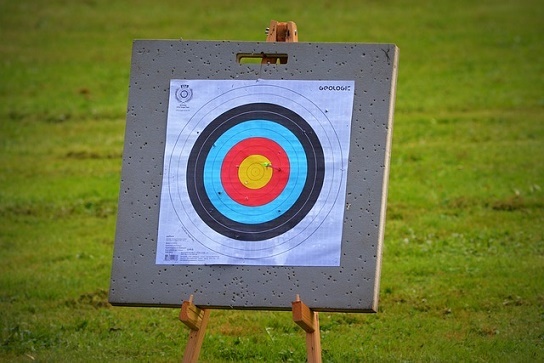 Now that you’ve been following your study plan, reviewing Verbal content, and answering practice questions, it’s time to check that you’re getting closer to hitting your Verbal goal score. Take another full-length practice test (like you did to get your baseline score). Ideally, you’ll take the second PowerPrep test, as this is the most accurate free GRE practice test out there. Again, take this test under realistic testing conditions: in a quiet room, timed, and in one sitting. When you’ve finished, record your Verbal and Quant scores and compare your new Verbal score to your baseline score. Did you improve? If so, by how many points? How close are you now to reaching your goal score? Use these results to make any necessary changes to your study plan. You now know how to prepare for GRE Verbal section well enough to narrow the focus of your prep and zero in on the areas you need to improve in. Go through the practice questions you’ve answered, and look at every question you answered incorrectly. Do you see any patterns? Did you do well on sentence completion questions but struggled with reading comprehension? Next, look more specifically. Why did you answer those questions incorrectly? Did you go through the answer choices too quickly and miss the correct one? Did you not read the passage closely enough? Did you just run out of time? As you continue studying for the Verbal section, keep working to improve your biggest Verbal weaknesses, and take practice tests regularly to check your progress. 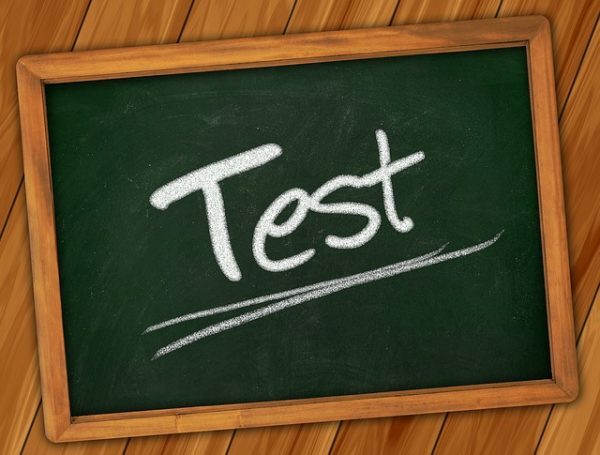 There are only two PowerPrep tests available, but you can use other official practice tests from step 7 or some of the unofficial tests we recommend here. You now have a solid plan for how to study for GRE Verbal. In order to make sure you’re studying is as efficient as it can be, follow these three tips to get the most out of your Verbal prep. The reading passages on the GRE come from academic texts, so you want to make sure you have a lot of experience with this type of writing before the exam. Good sources of high-reading level include the Atlantic, the New York Times, the Economist, and Nature. Because there are often science passages on the GRE, you can also try reading abstracts from scientific studies on PubMed. Read texts on a variety of subjects in order to be best prepared for whatever type of passage you see on exam day. As you read articles, make sure you really understand what’s being said. What’s the main idea of the article? What evidence does the author advance to support their position? Do they present any counterpoints? If you can understand the argumentative and rhetorical structure of complex articles, you’ll be well prepared for GRE Verbal Reasoning. 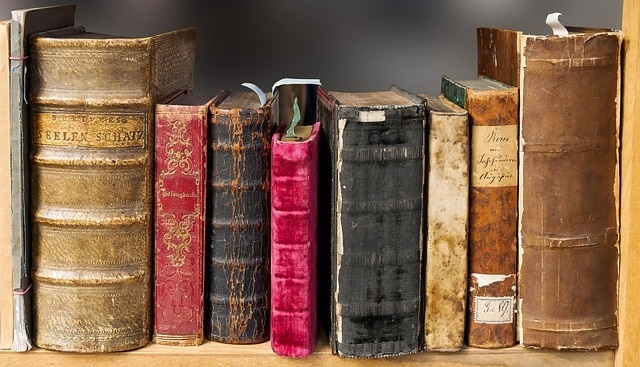 Even though many people focus most of their Verbal studying time on reading comprehension skills, fully half of the Verbal Reasoning section tests your knowledge of some pretty obscure and sophisticated vocabulary. Throughout the Verbal sections you’ll be asked to select words or sets of words to fill in the blanks in sentences. Even if you did well on vocab questions on the SAT or ACT, the GRE has more challenging vocabulary and tests more vocab words, so you’ll likely still need to do some review. To help you with this, we have a list of 357 best vocab words to know for the GRE, and you should also check out our guide to the best GRE vocabulary games. If you’ve been following all the above steps and still aren’t reaching your goal score for GRE Verbal, you may want to consider getting some outside help for your prep. Many people find that they study better when they have outside support and structure to follow. One option is to try our online GRE prep course. Our program is completely customizable to suit your study needs and even comes with a 7+ point guarantee. You may also want to consider hiring a GRE tutor if you’re struggling with how to prepare for GRE verbal section and raising your score to where you want it to be. It can be difficult to know how to study for GRE Verbal. Start by learning the format of the Verbal section and finding your baseline and goal scores. Once you’ve got a solid study plan developed, begin reviewing content you’ll need to know, answering practice questions, and learning strategies. Next, check your progress with a practice test to see how much you’ve improved and where you still need to work on. As you get closer to your exam date, focus on your weaknesses by completing more practice questions, reviewing key Verbal topics, and practicing strategies. As you continue your GRE verbal preparation, remember to read higher-level texts, spend time studying vocab, and get outside help if you still guidance on how to improve GRE Verbal scores. What score should you be aiming for on the Verbal section? Learn exactly what your goal score should be by reading our guide to what’s a good GRE Verbal score. Struggling with text completion and sentence equivalence questions? Strengthen your Verbal Reasoning skills with our set of GRE vocabulary words. The Quantitative Reasoning section of the GRE is important too. Want to know how to study for it? Check out our guide on how to study for the GRE math.